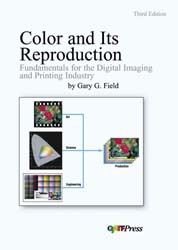 This third edition of Color and Its Reproduction: Fundamentals for the Digital Imaging and Printing Industrypresents an updated treatment of the concepts and technologies related to the processes of how we define, produce, and evaluate color reproduction quality. This authoritative text is directed to all who seek greater understanding of the fundamentals of color and color reproduction. Skilled prepress and printing personnel; suppliers of ink, paper, and equipment; production and quality managers; and others involved in production work will gain a deeper understanding of their own particular field of expertise. Technically inclined designers, print buyers, sales representatives, and general managers also will find much to interest them in this text. Students at colleges and universities will gain an appreciation of the interrelated nature of all stages in the color reproduction process, and color and imaging scientists new to the unexpected complexities and professional standards of graphic arts color work have much to gain from the insights presented here. In addition to three appendices, an extensive glossary, a comprehensive set of references, and two indexes, the book's fifteen chapters cover all aspects of the field in depth.